When Greg Brazell walked through the doors of Pierce College in the early 1980s, he was like many other students today. A little bit lost, and more than a little bit uncertain about what lies ahead for him in the future. He credits the instructors and his experience at Pierce with giving him a much-needed sense of purpose and direction. "What still impacts me to this day is knowing that [instructors at Pierce] unconditionally accepted who I was when I walked through those doors," he said. He always had his sights set on early childhood education, with an overarching goal to make a positive impact on young people's lives. The Early Childhood Education program at Pierce taught him the importance of understanding the student from a holistic point of view. This philosophy encourages teachers to take into consideration physical, intellectual, emotional and social issues when it comes to their approach to students. "This is a really interesting concept, and this is how they approached me as a student," he said. While he was in school at Pierce, Brazell worked nights at a local 7-Eleven, attended morning and afternoon classes, and spent as much time studying as he could. It was not an easy time, but instructors understood he had obligations in life aside from school. "They took care of me in many ways, but the academic bar was always set high," Brazell said. "The support was always there from the instructors, and they really created a family atmosphere." Although the experience at Pierce was positive, he hit a few road blocks during his search for a job in what was then a female-dominated field. "I was turned down for some jobs, because there was actual prejudice against having a male work with children," he said. "But when this happened, the Pierce instructors were right there for me, saying 'this man deserves to work with children.'" His time at Pierce prepared him for a successful career working with students of all ages, from toddlers to the elderly. He worked in the K-12 system for many years before taking a position at Pierce as an adjunct faculty member in early childhood education. He eventually became a full time instructor before becoming the director of education. 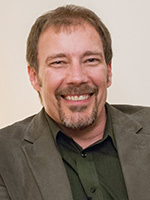 Today, he serves as Pierce College's Dean of Social Sciences and Business. "Working at Pierce was never my goal, but it was always my dream," he said. "I love it here because I'm able to pay forward that which was so freely given to me." Through his leadership role as a dean at Pierce, he hopes to continue moving the college forward. "It's been a blessing for me to have the opportunity to work at Pierce, because the college does good things for a lot of people," he said. "We're student-centered, and I'm really proud of that." For Lakewood businesswoman and philanthropist Natalie Mayer, Pierce College has always been there for her, to provide the support she needed to change careers or learn new skills to be successful in life. When she started at Pierce, it was the beginning of a search for what she wanted out of life and who she wanted to become. "I had no clue what I wanted to do with myself when I was finished with high school," she admitted. "I didn't want to commit to anything, and struggled with focus. It wasn't until I went back to Pierce that I became really grounded, because the instructors were always there to encourage me." She initially started at Pierce with the goal to study psychology and mental health, but soon realized the path was not a good fit for her. She left to study cosmetology and enjoyed a successful career as a hairdresser in Europe before eventually moving back home to establish a life closer to family. She chose to go back to school once again to earn her real estate license to better prepare herself to become an asset manager for the family business, Mayer Built Homes. Coming to the decision to jump on board with the family business was not an easy one, but it was one Mayer carefully considered before enrolling in classes at Pierce. "I always felt very welcome at Pierce," she said. "It's a very inviting school with no intimidation, and the instructors really care about their students." Mayer's parents played a key role in helping their daughter find success, by being herself, setting goals and working hard to achieve them. "My parents had the drive and determination to help me, and they have been a huge part of my life," she said. "I would never be where I'm at today without them." Not only did her parents encourage her to pursue a career she excelled in, but they also inspired her to give back to the community as much as possible. Her parents had been particularly active in their Jewish faith community for as long as she could remember. Her father came to the United States at 10 years old as a Holocaust survivor, and built his life, family and business from scratch. "Watching my father go after life the way he did made me truly realize how important it is to not let history repeat itself," she said. The Mayer family has long been active in the Pacific Lutheran University community and played a key role in developing the school's educational holocaust and genocide program, which now is available as a minor to students. Like her parents, she has remained active in the community in a number of ways, volunteering her time with the Northwest Sinfonietta, Pacific Lutheran University, as well as a number of local nonprofit organizations. "I feel so proud of where I'm at and being honored in this way," she said. "I'm happy to be recognized for my hard work and the role Pierce College has played in my life." Since she was nine years old, Dr. Sheley Secrest knew she wanted to be a civil rights lawyer. She never lost sight of her dreams, but had little knowledge of what it would take to make her goal a reality. As a first-generation college student, it wasn't until she enrolled at Pierce College that she was able to connect with instructors who were able to help set her on a course that would determine the direction of her life. "My time at Pierce was instrumental for me," she said. "I was a 19-year-old with nothing more than a dream, but they were able to map out exactly what I needed to do to make my dream a reality." Instructors at Pierce played a key role in helping Secrest transfer to her dream school, the highly competitive Spelman College in Atlanta. As America's oldest historically black college for women, it was not easy to gain admission into this prestigious school. 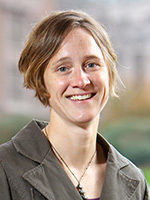 With the help of her supporters at Pierce, Secrest became one of 35 students accepted that year from around the country. "The staff and faculty went above and beyond to help me achieve my goals," she said. "They made sure I had the support I needed to fulfill my dreams." After finishing her bachelor's degree, she attended law school at Seattle University and has since developed a strong reputation and track record as a community organizer, civil rights attorney, activist and more. At the age of 31, Secrest was named president of the Seattle/King County branch of the NAACP, and received the organization's National President's Award in recognition of her efforts. "Being recognized by such an established organization was a wonderful experience," she said. Today, as staff attorney and policy associate for Alliance for a Just Society, she has tackled a number of issues from police misconduct and disparities in government contracting to restoring the right to vote for felons released from prison. 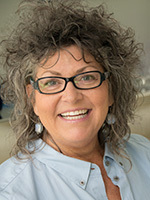 Secrest is now throwing her hat into the political arena by running for a seat in the Washington state senate, and currently spends much of her time on the campaign trail connecting with voters and learning about their needs and concerns. Through her work with the Alliance for a Just Society, she has also been active in the fight to raise the minimum wage in Seatac and Seattle. "We're fighting for those who have been left behind, who are working hard but still scrambling to get by and pay their bills," she said. "We're always looking for solutions for them, and solutions for people like myself who want an education but may not have the resources to pay for college. Community colleges like Pierce are doing a wonderful job of keeping tuition affordable and giving more people access to a quality education." Being recognized for her personal and professional achievements by Pierce College holds special meaning to Secrest, who attended Distinguished Alumni events when she was in school herself. "I would go to these dinners thinking that one day this will be me," she said. "The fact that it actually happened 20 years later really shows that if you stay focused, good things will come to you." Kate Starbird didn't necessarily grow up with the dream of playing professional basketball. And even when she became the all-time leading scorer for Lakes High School, she never expected to make much of a career out of her talents. It wasn't until the former Pierce College Running Start student was in her senior year in college at Stanford that she even realized a professional career in basketball was an option. "It was a pleasant surprise, and an amazing experience," she said. She was drafted by the American Basketball League's Seattle Reign after college, before entering the WNBA with the Sacramento Monarchs. She moved on to teams in Miami, Utah and eventually played overseas for five more seasons before eventually retiring. "I was not as successful in my professional career as I was at the college level, but I believe that kind of struggle is good for people," she said. As a professional athlete, it was always in the back of her mind that her career had an expiration date on it. "I got to the point in my life when I realized that it had been years since I'd slept in the same bed for more than six months at a time," she said. "I was a very good player, but I wasn't getting any better. I had always loved the idea of going back to school because there's always a chance to improve in some way in academia." Starbird went back to school and earned her Ph.D. at the University of Colorado Boulder's Alliance for Technology, Learning and Society Institute. Today, as an assistant professor in the University of Washington's Department of Human Centered Design and Engineering, Starbird studies the intersection of human behavior and technology. More specifically, her area of interest has revolved around the use of social media to spread information (and misinformation) during crisis situations. "We look at thousands and thousands of tweets to determine how some people spread misinformation, and who attacks or spreads the rumors," she said. "We have a number of students who work to visualize the data in different ways." 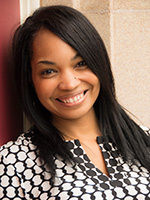 In addition to her teaching and research work, she also spends a great deal of time reading admissions applications for bachelor's, master's and Ph.D. students. Her own experience at Pierce College has given her a unique perspective on students coming from community colleges around the state. "When I see students in our application process who have Running Start or community college in their background, I know that the education they've received is good," Starbird said. "There are great teachers in these programs who really pay attention to students. My Pierce experience gave me a better understanding of the whole education system and a better appreciation of the students coming from community colleges."